Great articles from previous staff. Morning Sanity...is it Possible for Parents with Young Children? YES! 1. Get everyone to bed as early as possible. If you have to wake your kids in the morning, they aren't getting enough sleep. Every hour of sleep less than they need sets them back a year in access to brain function, meaning they act a year younger. So if you're dragging your child out of bed, start the bedtime routine earlier. By the way, everyone means EVERYONE! Get yourself to bed and sleep earlier; you can't be your best you when you are lacking sleep. Backpacks, brief cases, lunches made, clothes laid out, coffee pot prepared, breakfast planned. Involve kids the night before too, so they choose their clothing and find that toy car. 3. Establish a weekly family meeting time. Meet on Sundays or any other day or time when you know everyone can arrange to be there. Keep this meeting sacred -- same time; same place every week. Keep the agenda VERY SIMPLE. a. Go over the upcoming week's schedule. What will the kids be doing for lunch? How are they getting to and from school each day? Are there any materials needed for their upcoming projects? Do they have any extra-curricular obligations? b. Give each family member a chance to share - good news, "tough" news, and any suggestions. 4. Make sure you get five minutes of relaxed snuggle time with each child as they wake up. I know, it sounds impossible. But if everything else is already done, you can relax for five minutes. That time connecting with your child will transform your morning. You fill your child's cup before the day starts, and you re-connect after the separation of the night, which gives your child the motivation to cooperate instead of fight with you. This is the best way to prevent morning whining and resistance. 5. Allow NO ELECTRONICS of ANY KIND in the morning. Do not allow your children to be on the cellphone, tablet, computer, video game console, or to watch television. You, too, should avoid "hanging out" on any of these items. Try to get and give all electronic information you need for the day completed before the kids get up. Yes, this means that you need to wake up before they do. You can't wiggle on this rule at all. If you do, the distraction will be a negative impact on all your other good intentions and plans. 6. Use routines to make transitions easier. Kids find transitions hard and the morning is full of transitions. Keep the morning routine as simple as possible.So, for instance, you may want to rethink breakfast. I know, you want to serve your child a hot breakfast at the table. Me too. But I have one kid who just wasn't ready to eat as soon as she got up, so there were times when she regularly ate a sandwich in the car. No less healthy, more peaceful -- a better start to the day. Are you all running around grabbing last minute lunch money or pencils? Make a post-it note with a check off list of all the things that need to be completed prior to walking out the door: - Get dressed - Brush teeth - Lunch from refrigerator to backpack - Confirm after-school plans (might want to have these in writing each day in your children's planners). Put the Post-it on your child's bathroom mirror and make it his job to do and check off the items in the morning. Then require him to hand you the completed list before you all walk out the door. 7. Practice on non-school days. Sometime on the weekend, grab a "mom" and baby stuffed animal. Have your kids act out the morning routine. Have the little one resist, whine, collapse. Have the mom "lose it" (but don't scare your child by overdoing it. Have the mom be a funny, incompetent bumbler.) Your child will be fascinated. Then, hand your kid the "mom" and play out the scenario again, with you being the kid. Make it funny so you can both giggle and let off tension. Make sure to include scenarios in which the kid goes to school in his pjs, or the mom goes to work in her pjs, or the kid has to yell at the mom to hurry up and get ready, or the mom says "Who cares about that meeting? Let's tell the boss it's more important to find your toy car!" Give him in fantasy what he can't have in reality. You may learn something about how to make things work better. Almost certainly, you'll see more understanding and cooperation from your children on Monday. At the very least, the laughter will defuse the tension. Modern life puts pressures on kids and parents that can potentially undermine our family connections. Our kids need to feel that loving connection, understand that morning routines help ensure punctual attendance at school, and see consistency of priorities (in other words, you as the parent need to never (well, almost never) waiver on your commitment to prioritizing school attendance.) Once you implement these seven suggestions, your children will learn not only to cooperate, but to thrive. Luckily, when we make time to honor our connection to our kids patiently and calmly our priority, everything else gets a little bit easier. Go out and make it a great day!! Also, please take time to add comments, suggestions and/or thoughts to this blog. Your input and questions are invaluable. ...or contact me at advice@drcarlsonhahb.com. One of the great aspects of my role is that I get to see all our amazing teachers in action. Today, our preschool teachers received the following email from our Orange County Office of Education online Assessment Program implementation coach. I can’t tell you how grateful I am for the administrators and teachers we have here at The Hebrew Academy. Now, on to the good stuff… the complimentary letter. Thank you for allowing me to observe your class activities today; you both are amazing and talented educators. The way you inspire and encourage the children to take an interest in their learning and in the bigger world is something that I wish I saw more of in other teachers. As I shared with Danielle during our coaching session, I have shared some of the strategies I have observed you use in your classroom with some of the other teachers I am coaching. It will be interesting to follow up with them to learn how these are working out with their students. I encourage all parents to stop and reflect on the high quality of your children’s teachers and acknowledge yourselves for making the commitment to giving your young scholars the educational chance of a lifetime. If you find time to do so, we welcome notes of appreciation, encouragement and support to our teachers who work so hard to educate not only our children, but also us as their parents and support providers. You know the hardest thing about teaching with project-based learning? Explaining it to someone. It seems to me that whenever I asked someone the definition of PBL, the description was always so complicated that my eyes would begin to glaze over immediately. So to help you in your own musings, I've devised an elevator speech to help you clearly see what's it all about. An elevator speech is a brief, one- or two-sentence response you could give someone in the amount of time it takes to go from the first floor to the second floor in an apartment building. I like this visual, and I use it with my students because getting to the point and encapsulating the gist of something is vital in today's speaking- and writing-heavy world. So the elevator opens up, a guy walks in and out of the blue asks you, "What the heck is project-based learning anyway?" I don't know why he would ask that, but for the purposes of this fantasy, it seems that any Joe-off-the-street is fascinated by your response. You respond accordingly: "PBL is the act of learning through identifying a real-world problem and developing its solution. Kids show what they learn as they journey through the unit, not just at the end." "That's it?" the guy asks. "Well, no," you reply. "There's more to it than that, but this is your floor, and we're out of time." He gives you a brief nod of thanks and departs, leaving you to think of all the richness that this definition does not, in fact, impart. After all, if we just look at that definition, it doesn't state certain trends in PBL. PBL is the ongoing act of learning about different subjects simultaneously. This is achieved by guiding students to identify, through research, a real-world problem (local to global) developing its solution using evidence to support the claim, and presenting the solution through a multimedia approach based in a set of 21st-century tools. Kids show what they learn as they journey through the unit, interact with its lessons, collaborate with each other, and assess themselves and each other. They don't just take a test or produce a product at the end to show their learning. You realize that this definition, while closer to accurate than the previous version, would have caused his eyes to glaze over (as yours may have just now), and you decide that the earlier definition is by far the more efficient version, even as it shortchanges the awesomeness of the strategy. Because PBL is awesome when it is implemented by teachers who buy into its methods. It is exciting to teach using PBL, and your excitement, in turn, causes excitement in your clients, the students. Nevertheless, it took me awhile to tease myself away from the daily drudgery of teaching with disconnected lessons. You know what I mean. I'm talking about the daily lessons that might teach a skill, and perhaps that skill fits within a unit based on a topic or a theme, but each lesson works independently and can function without being embraced in a unit that connects them all in a learning story. But I grew bored, and I was concerned that my students would, too. Teaching with PBL is the difference between the atmosphere at Disneyland and the atmosphere at a Six Flags resort. No offense to Six Flags, I love a great roller coaster, but their décor needs some serious work. At Disneyland, you are submerged in the story of each ride from the time you enter the line. The walls, the ceiling, the ground on which you tread as you advance to the actual ride, all support the end result. Teaching with PBL is much the same way. It couches lessons in a tale -- a tale about a problem that must be solved or an activity that must be developed. The learning happens along the way towards the presentation of the solution. After all, using PBL isn't about writing a state report. It's about using what you know about the state you study and then creating your own state. It isn't about building a replica of the Washington Monument. It's about researching someone to honor, designing your own monument, and persuasively pitching a committee to build it. Allow me to personify for a moment: PBL cares about our mission to educate all. PBL never forgets that one of our main jobs is to prepare students for the predicted future. PBL knows that students are not standardized, they don't learn in a standardized way, and that our clientele can't be assessed in a standardized manner if we are looking to foster innovation. PBL keeps its eye on the ball no matter the trendy standard or curriculum package du jour. PBL doesn't ask you to replace your content. It asks that you create a vehicle in which to communicate your content. If PBL is a play, then the math or science or history or writing -- or whatever you teach -- make up the scenes that propel each act toward the final curtain call. The learning story that you and your students create together makes up the overall PBL unit. Be prepared, however. You'll plan and frontload tons, but once you jump in, you'll discover that when you hand over the writing of the learning story to your kids, they will take it far and above any book you've ever read. The above post is an excerpt from Heather's newest book, DIY Project-Based Learning for ELA and History. Welcome to the 2015 – 2016 School Year! Our first week has been full of wonderment and learning already. It warms my heart to see all the students’ joy in learning and in seeing their friends. I thought we might want to just celebrate some of the successes from last year and share some things to look forward to this year. Introduction of the Center of Excellence – Founded by Dr. Hilary Buff during the 2014 – 2015 school year. Established a place and system to offer students extra services (right on campus) they need to reach their full potential – Acceleration, Tutoring, Counseling, Academic Assessment, Parent Education, Occupational/Speech Therapy and more! This year, the elementary division will be adding a pull out program to make sure to challenge our students who want some more and to support students who need help in reading or math. In the middle and high school division, we will be adding a learning center option for tutoring on site. In 2014 – 2015 – We offered optional challenges during Town Hall meetings that stretched students’ courage, minds, empathy and pride. Town Hall meetings occur twice a month. During the meetings, the entire student body comes together to discuss successes, challenges and opportunities. Dr. Carlson offered various monthly challenges this year. What was extraordinary about these contests was that they were not “required,” nor were they “taught.” Students could memorize poems and recite them, come up with “punny” jokes and deliver them, create philanthropic opportunities and implement them or describe people and things for which they are grateful. Over 50% of the student body (ages 5 to 18 years old) took advantage of one or more of these tests of their own fruition. They stepped up and had the courage to explore, create, study and present their findings in front of the entire school… with no pushing from parents, teachers or others. These are my heroes! This year, we have added a component whereby each of the elementary grades will be presenting their learning at a Town Hall meeting. The schedule will be posted soon – you won’t want to miss these Town Hall Meetings. Just imagine a place where children have an opportunity to play and work in an environment where it’s cool for boys to wear yarmulkes and girls to dress modestly. What if parents didn’t have to fight the uphill battle of helping their children stay young and avoid inappropriate media. How do children feel when instead of being a minority socially, emotionally and religiously, they are among others like them? At The Hebrew Academy last year, we offered a variety of classes and opportunities for our students and families to gain a deeper understanding and commitment to their Jewish heritage and community. Students learned logical thinking, Hebrew reading and Jewish traditions through well-developed and honed Judaic curriculum that is seamlessly woven into their stellar General Studies education. Additionally, families had an opportunity to enjoy a glamourous camping Shabbat weekend that was like no other. Of course, this will continue on through the years. Our teachers are second-to-none among educators in Orange County and beyond. All teachers are credentialed in their subject areas, and 83% of our teachers and administrators hold Masters’ degrees or higher. Quite a few of our teachers earned recognition from national or local educational organizations. To name a few: Dr. Carlson was named as a member of the American Business Women’s Association, Ms. Schneider was invited by Edutopia (Gates’ Foundation) to offer a perpetual Blog, Ms. Lydon was nominated to present at the National History Society’s Annual Conference being held at UCLA, Morah Rabin was honored for her ability to get such beautiful writing from her students, and all General and Judaic teachers were honored by the Buck Institute for their ability to expertly integrate Project-based Learning into the curriculum to seamlessly. This year, we are challenging ourselves to participate in a variety of academic contests and tournaments, such as chess, math, robotics and science. We know we are ready to jump in and take the academic world by storm. Our 12th grade graduates were outstanding representatives of The Hebrew Academy education and community. Through instructional practices that integrate hands-on opportunities to work as teams, use technology ubiquitously, communicate in written, artistic and oral forms and be curious about the world, The Hebrew Academy offers an educational environment that prepares our students to make a positive difference in their world. Last year, particularly, we introduced Project-based Learning, technical coding, creative writing, physics at the middle school level and algebraic problem-solving in kindergarten and beyond. This year, we will be continuing on with PBL, and we will be taking video conference tours and classes all over the world, learning coding and 3-D printing, and taking on internships (high school). All I can say is that we can’t wait to enjoy this year; it is one that will be full of care, commitment, consistency and communication. Please invite your friends and family to participate in our holiday events and make sure that you stay involved. The Parent Association has put together a “Whatsapp” for parents. Contact Lauren Amler at admin@hacds.org (include your cell phone number) if you would like to join the group. As a school with four divisions – preschool, elementary, middle and high school – one thing is guaranteed… there are always LOTS of activities going on. For example, this week there were many activities related to Rosh Hashana. Our younger students were experiencing their first Rosh Chodesh assembly of the year. It was a particularly beautiful thing to watch our kinder-kids learn about various awards given, how the awards can be earned and what happens when they receive one of those awards. It was with enthusiasm that Rabbi Popack led the young scholars in a prayer for the month of Tishrei. I then shared my sentiments with the students. I know that they are all destined to make a positive difference in this world; and therefore, we take our job of equipping them with strong academic, thinking and communication skills very seriously. We then gave out the awards! The middle school girls were in the multi-purpose room working with Ms. Schneider and their teachers. They were learning more about the importance of organization and how they could better organize themselves. They also gained some insight into the skill of working together. Many of the girls realized that they needed to really consider their accountability in becoming a happy and successful student. Our high school students got a chance to learn with Rabbi Stillerman about the New Year and how they, as young ladies, can best prepare themselves for this important fresh start. Soccer Sundays are Fun Days! Teamed with AYSO, and supported with funds from Jewish Federation, our parents have created an amazing and fun opportunity for our kids to play a team sport and show off our wonderful school at the same time. Even if you didn’t sign your child up for soccer this season, come cheer our Hebrew Academy teams on as they play against other AYSO teams from Huntington Beach right here on our Hebrew Academy fields. We are seeking a volunteer (or two or five) who can run practices here at The Hebrew Academy during Enrichment Academy, which starts October 22nd and runs on Wednesdays from 3:15 – 4:00 pm. This is an important aspect of helping our students continue to be competitive during the season. Currently, our kids are doing GREAT, and have achieved quite a bit of success, but as we all know, they will need to continue honing their skills to stay competitive. If you haven’t had a chance to meet Dr. Hilary, our new school psychologist, you are missing out! Hilary is an alumna of The Hebrew Academy, and she comes to the school with a wealth of education and experience related to behavioral psychology. More than that, she brings a deep desire to make a positive difference in our adults’ and children’s self-esteem and inter-personal relationships. Dr. Hilary is running parenting workshops on Wednesdays – either in the mornings (9:00 – 10:30) or evenings (7:00 – 8:30). Don’t miss your chance to get tangible ideas related to helping your child be happy and successful at home and school. Speaking of parenting, I found this article and thought I would share it with my wonderful HA parents. As I work with the teachers and students, I see that we have a need to continually enhance a supportive and trusting relationship between and among the HA staff and our parents. My hope is that we can always remember that we all care very much about the happiness and success of our HA students; the more we work together toward helping our children achieve that goal, the more deeply and fully the students will move toward that goal. As we move into the New Year and our children begin to settle into their job called, “school,” I saw this article and thought it might be fun to share with parents. Educator and journalist Jessica Lahey thinks parents need to know these things in order to be strong partners with their children’s teachers. Lehey’s recent New York Times article outlines some basics that all parents should know about their kids. These are aspects that teachers want to tell you but sometimes don’t have the venue or the voice to do so. 1. Your kids can do much more than you think. Your little one doesn't need you to tie their shoes, zip their jacket, or a million other things. They simply want you to do it. Start teaching your child how to tackle these tasks so next time they ask for help, you can sit back and watch them do it themselves. 2. It's not healthy to give your child constant feedback. You may think praising every picture is building your child's confidence, but it could actually hurt them in the long run. Children need to be able to critique their own work because, according to Lahey, "as they grow up and face hardship, they need to be able to look to themselves for strength and approval." She suggests asking your children what they think of their work next time they come to you for approval. 3. We promise not to believe everything your child says happens at home if you promise not to believe everything your child says happens in our classrooms. Little kids have a knack for telling little white lies. They want to please their parents and teachers, so they say what they think we want to hear. Make sure to take everything they say with a grain of salt, and look for some telltale signs that they are bending the truth. 4. Your children learn and act according to what you do. You are your child's first — and favorite — teacher. But you can't just tell them that it's rude to talk when someone is speaking or that learning is fun. You have to show them! Make sure you exhibit all the positive behaviors that you want your child to inherit. 5. Teach your children that mistakes aren't signs of weakness but a vital part of growth and learning. Before your child could walk, they had to fall down a few times. So don't let them beat themselves up over an incorrect math problem or a misspelled word. Let them know that everyone makes mistakes and that, in the end, doing so will help them succeed. Also emphasize the importance of effort rather than getting it right the first time. This is a video that shares what happens in Project Based Learning (PBL) and why we at the Hebrew Academy are so excited about it. Well-designed PBL has been shown to result in deeper learning and engaged, self-directed learners. Learn more about the five core elements of successful PBL. 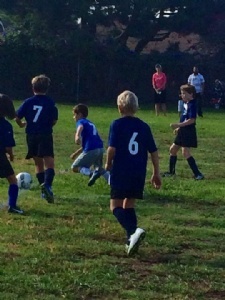 AYSO Soccer will be available at Hebrew Academy on Sundays this Fall. We hope you’ll join us. We will have an on-campus registration at the Hebrew Academy on Tuesday, June 10, from 3:00 – 4:30 at the carpool patio. You can also mail in your registration (see below). · On-line Application - Please complete your registration application at www.eayso.org. Print one (1) copy and bring to registration. We no longer have any pre-printed forms. All applications must be done on-line and e-signed. · If you have problems with eAYSO – Some people find that their players do not show up as returning players under their eAYSO account. This means that your players are not linked to your eAYSO account. Please try to complete your registration on-line at eAYSO Friday or Saturday so you can work out any problems with the eAYSO Support Desk. We can’t link your accounts for you – you have to work with the Support Desk. Call (866) 588-2976 or email to eaysosupport@ayso.org. · Proof of Age - Players who did not register with Region 143 in Spring 2014 MUST bring proof of age (Birth Certificate or Passport.) Registrations for new players will not be accepted without proof of age. Please mail not later than June 25. · The program is open to boys and girls 4 – 14 whose birthdates fall between August 1, 2000, and August 31, 2010. · Games will played on Sunday mornings at Hebrew Academy. · Games will played against teams from Region 143 and other local Regions in Huntington Beach that also play on Saturdays. · Practices may begin August 1. First game will be Sunday, September 7. Last games will be in early November. · Cost is $90 for your first child and $80 for each sibling registered at the same time. · We have a limited number of partial scholarships for those with significant financial need. o Soccer ball – Size 3 for players under 8, Size 4 for players under 12, and Size 5 for players 12-14. · We are an all-volunteer organization – each team needs a coach, assistant coach, 1 referee (under 8), 3 referees (8 and above), a team parent (helps the coaches manage the team), and field maintenance (putting up the goals, touching up the lines each week). We provide training – no knowledge of soccer is necessary. If you are willing to help coach or referee, please contact David Kuiper by email at rc@ayso143.org. 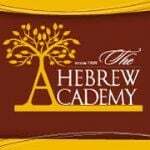 · Opportunities to play children on other teams in organized games – the Hebrew Academy will be on our schedule from opening day! Soccer - A Game For Kids And A Game For Life! You can set a soccer ball down on any corner in the world and have friends. It is a global sport that Americans have embraced in record numbers... because it's fun even with a beginner's skill. It's also a game you can play and enjoy for the rest of your life. With children's natural joy in running and kicking, soccer builds on these two skills and adds in techniques to control the ball and work as a team. It also encourages creative decision making and strategic thinking. And it's a fast game that keeps each player moving the entire time. In AYSO there's no spending the game on the bench! Every player is guaranteed to play at least half of the game and our Region policy is that everyone plays at least three-quarters of every game. AYSO has age appropriate small-sided games. A full size soccer team has 11 players on the field. But smaller-sided teams for younger children allow more touches on the ball and a more successful soccer learning environment. AYSO small-sided games emulate classic "street soccer" where children of many skill levels choose up teams and play together for a fun neighborhood game. This is a similar environment to where many of the greatest soccer players in the world developed their skills. We look forward to sharing some wonderful times on the field with you and your families! Any questions? Please contact David Kuiper by email at rc@ayso143.org. Thanks to Allen Alevy’s generous grant aimed at building the capacity of our teachers and students, we have accomplished a huge shift in the educational atmosphere here at The Hebrew Academy. The teachers have been working diligently over the past two years to help our students learn how to learn and act responsibly with the scholarship they gain. We desire for them to be captains of their learning, seizing every opportunity to steer into interesting and challenging scholarship. As Arnold Bennett says, “Any change, even a change for the better is always accompanied by drawbacks and discomforts.” We have seen this as our students move from static to dynamic learners. Instead of just sitting in class and having facts and dates poured into their minds, students must now work together (sometimes with very different personalities than themselves), gather data responsibly, analyze the information meet deadlines and communicate their findings expertly. Therefore, the skills being taught to the students are very different than previously needed in schools. Students must now learn and integrate interpersonal skills, thinking skills, analytic abilities and stellar communication in order to best learn and communicate with others. The shift is beyond exciting and real, even with our growing pains related to this great change. The collaboration and projects that the teachers have been developing and implementing have been addressing our need to help students develop their learning and thinking abilities. The teachers expertly address the California and Common Core standards in a way that is motivating and indicative of dynamic learning. Therefore, when parents ask, “Will my child be prepared to move on from The Hebrew Academy? Will he/she be competitive with his/her peers in other schools?” the answer is a resounding yes. Our students’ abilities and preparation far exceed that of their peers in public schools and directly compete with those in other private/independent schools. Our test scores and students’ capabilities prove this point. Where I hope to further delve, is into the realm of cooperation and respect among the students themselves, and a resulting atmosphere of gratitude for the learning that is occurring at school. We are currently examining ways in which we can involve students in the responsibility for a higher level of respectful and grateful behavior. I will keep you posted as to what activities we implement. In the meantime, our 8th graders are involved in an amazing Earthquake study… perhaps it’s their fault we had a test earthquake recently… haha. Seriously, if anyone has any access to professionals who deal with earthquakes, disaster preparedness or the like, please contact Dr. Carlson at mcarlson@hacds.org. We continue to look for high-caliber, enticing learning opportunities for our students. Our path away from boring, static learning to more dynamic and student-centered study is one that is collaborative and needs everyone’s participation! Dr. Megan Carlson Ed.D is our Principal.